It is the fifth time that we look forward to greeting you at our concerts among the hills of Börzsöny. “Concerts among hills”, as the motto of our festival reads, are inspired by the beauty of nature, the symbolic connection between hills and spiritual values. 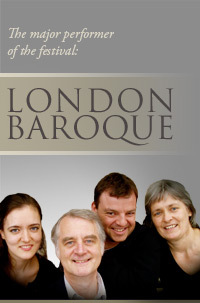 Börzsöny Baroque Days have received renowned performers of early music for five years. This year the concerts are held in the beautiful monument churches of the lovely Börzsöny villages, Szokolya, Nógrád and Berkenye. The closing concert will be given in the lovely baroque town, Vác —which is the cultural capital of the region— by London Baroque, the world-famous English representative of instrumental music. We hope that the programme of the 5th Börzsöny Baroque Days will be worthy of your kind attention.